The second issue of Jim Zub (SKULLKICKERS, Samurai Jack) and Steve Cummings' (Legends of the Dark Knight, Deadshot) ongoing supernatural adventure series WAYWARD resonates with readers in search of myth, monsters, and magic. The second issue has sold out completely and is fast-tracked for a second printing to meet demand. Fan praise for WAYWARD has lit up social media and gone viral. In WAYWARD #2 Rori's uncanny senses lead her to a classmate with a dark secret... one he's willing to kill to keep hidden. WAYWARD #2 has completely sold out at the distributor level, but may still be available in comic stores. It is currently available digitally on the Image Comics website (imagecomics.com) and the official Image Comics iOS app, and on Comixology on the web (comixology.com), iOS, Android, and Google Play. The second printing of WAYWARD #2 (Diamond Code SEP148170) will release on 11/19. 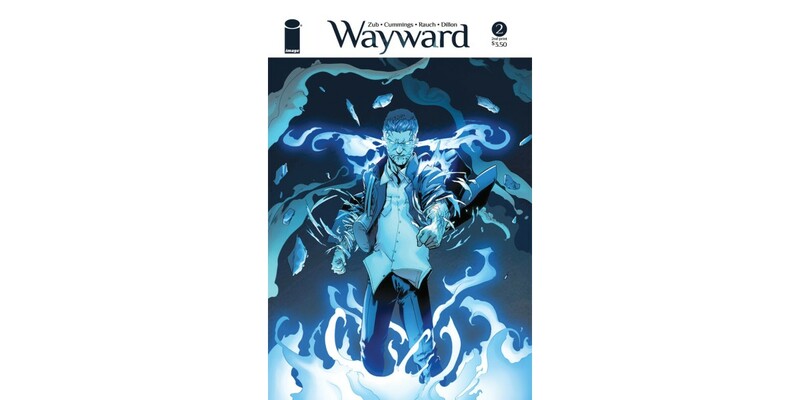 WAYWARD #3 will hit stores on 10/29 and can be pre-ordered with Diamond Code AUG140692. Cover B by Jorge Molina can be pre-ordered with Diamond Code AUG140693.